Feel the confidence of a beautiful smile. Why Might You Require A Tooth Extraction? Impacted or non-functional wisdom teeth may need to be extracted. The constant pressure from impacted wisdom teeth can also damage adjacent teeth. You may not feel anything until significant damage has occurred. This pressure may also push other teeth out of line, possibly creating a need for orthodontic treatment. Even if you have no symptoms now, headaches, earaches, pain in the face, neck, throat and upper and lower teeth can occur if impacted wisdom teeth are not removed. Tooth extractions may be required in preparation for orthodontic treatment (braces). Especially in those cases where a large discrepancy exists between the size of the jaws and the needed space required for the improved alignment of the teeth, some strategically located teeth may need to be extracted. At Keele And Finch Dental Office in North York we will inform you if we see a benefit in removing your tooth. 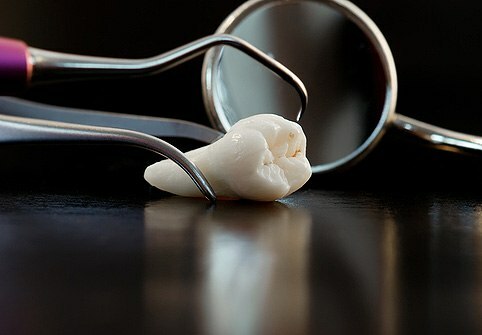 However, our primary goal is to always save the tooth to avoid the inconveniences that come with tooth removal. Feel free to ask us any questions during your next dental visit.